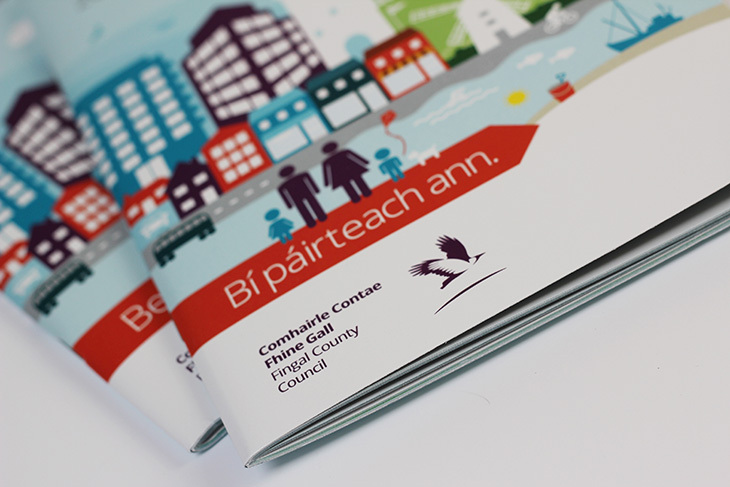 Fingal County Council is a Local Authority north of Dublin serving a geographical location of 448sq km which spans rural, urban and suburban communities, and is home to several key elements of national and regional infrastructure, including Dublin Airport. 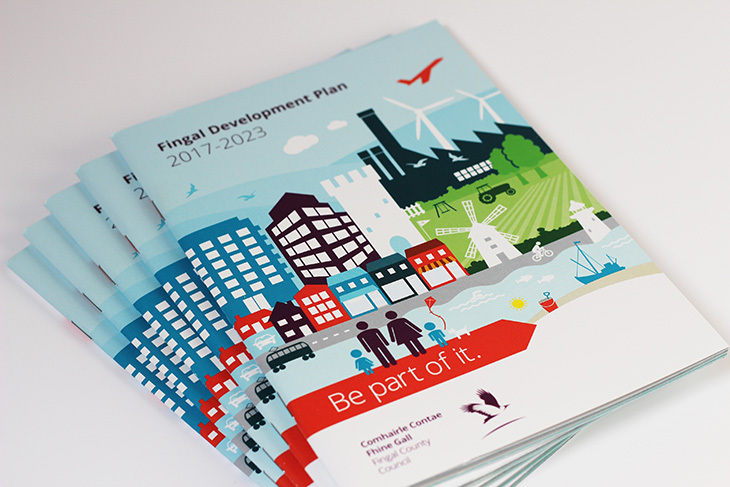 Fingal County Council is currently developing theDevelopment Plan for 2017 – 2023. The Plan will set out the policies and objectives for the County over this period. 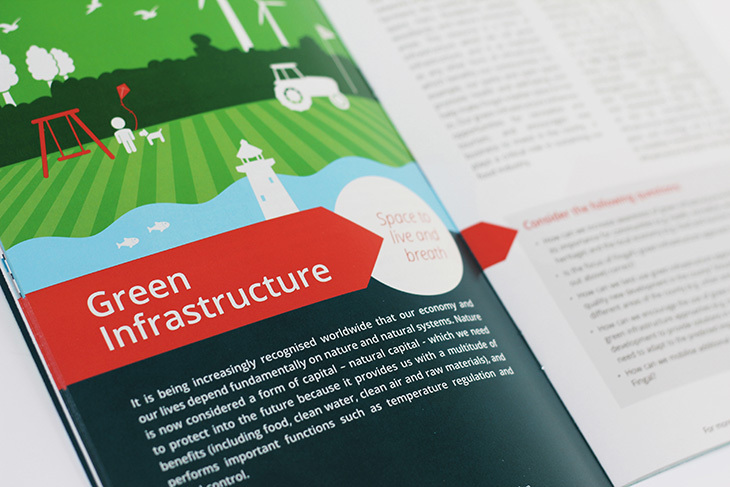 Resonate won the tender to supply the design services for the Plan. 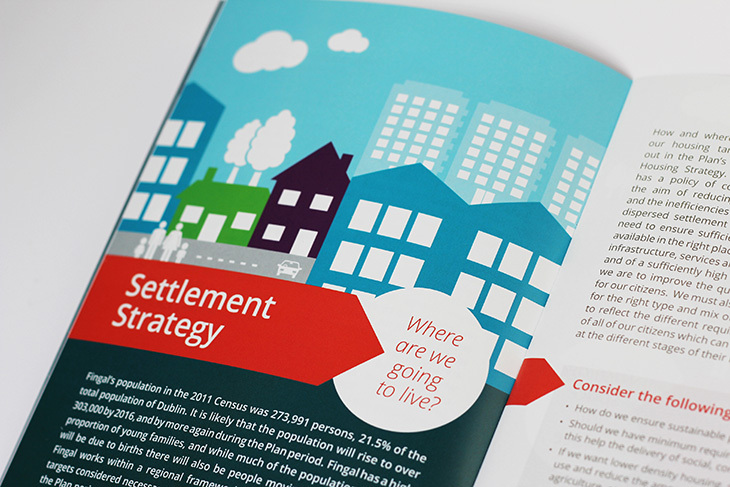 The first deliverable was an A5 dual language booklet which was delivered to every household (over 100k) in Fingal at the start of 2015. This was to engage the public and invite contributions to the Plan. 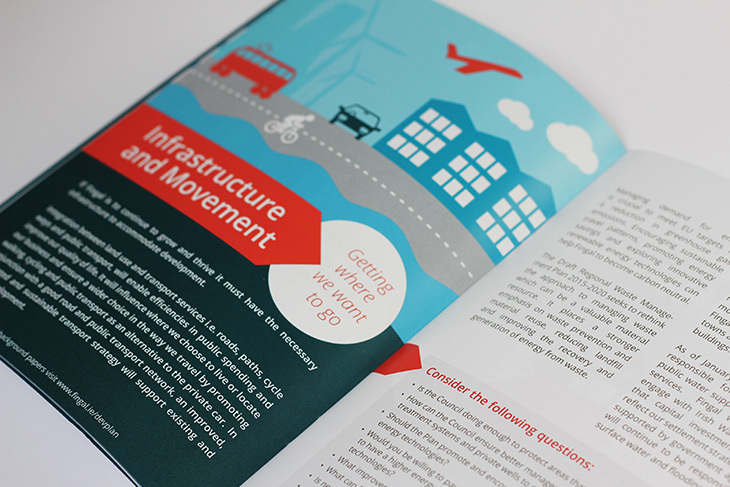 The graphics needed to stand out from other literature which is regularly delivered to households, while also appealing to all ages and demographics. Resonate created stylised compositions using colourful illustrations to represent all aspects of Fingal. The compositions are very flexible and so can be used in print, online etc and in various formats. The Development Plan itself is ongoing and expected to be completed in 2016.